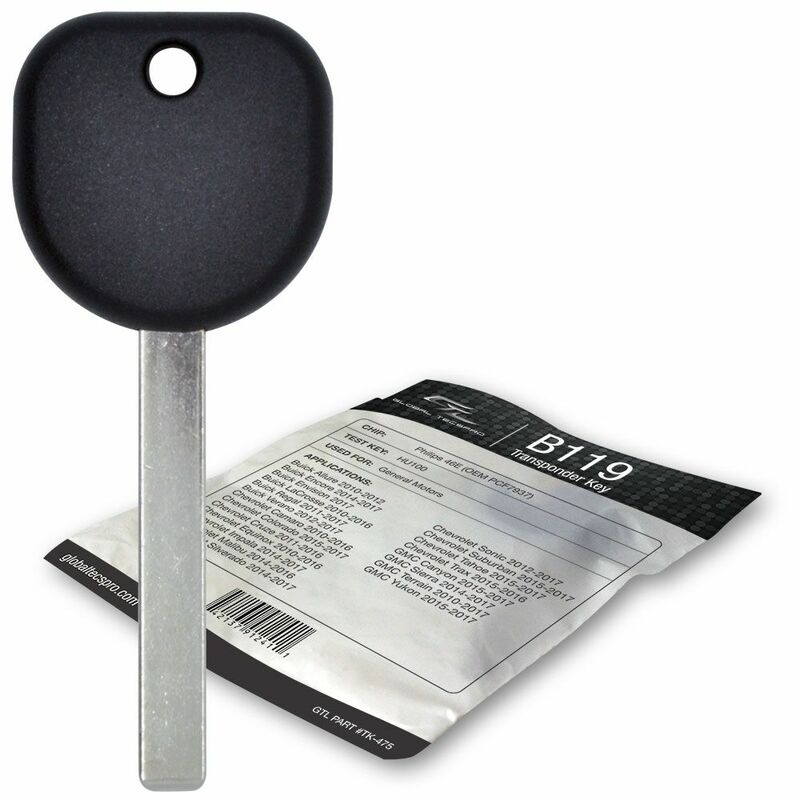 Transponder chip key for 2018 Chevrolet Tahoe . This Chevy key blank has uncut blade and it is not set up with your vehicle, so it will require cutting and registration (programming) for your 2018 Chevrolet Tahoe. You can program this key at home using your existing working key. Scroll down to see the programming steps . We will also include step by step programming manual with this key. Proof or ownership for your vehicle will most likely be required (like title, registration, insurance card) to make sure you are the owner or authorized user. Like most late model vehicles, this 2018 Chevrolet Tahoe key has a transponder chip, part of your automobile security system, in the head of the key. This Chevrolet transponder keys has a circuit, chip Philips 46E hidden inside the head of the key. Most of us are not aware of the fact because the chip is not visible and molded inside of the black plastic head. Important: this key will require both cutting and programming to you 2018 Chevrolet Tahoe for it to work. 1. Insert the new cut key into ignition cylinder and turn it to the ON position. The security light on the dash will light up and stay on for about ten minutes. When the security light goes out, you have one minute to start the next step. 2. Turn the ignition cylinder to OFF and then back to the ON position. The security light on the dash will illuminate and stay on for ten more minutes. When the security light goes out, you have one minute to start the next step. 3. Turn the ignition cylinder to OFF and then back to the ON position. The security light on the dash will illuminate and stay on for ten more minutes. 4. After the security light has gone off for the third time, turn key off and remove from ignition. The key is now programmed and all other keys have been erased. 5. Insert key and start vehicle to test key. 1. Insert an existing programmed working key into the ignition cylinder. 2. Turn ignition to the ON position for 5 seconds, then back to OFF position. 3. Remove the existing key and within 5 seconds insert new key and turn it to the ON position for 5 seconds. 4. Turn key OFF then back to ON. The key is now programmed. Start vehicle to test the key.